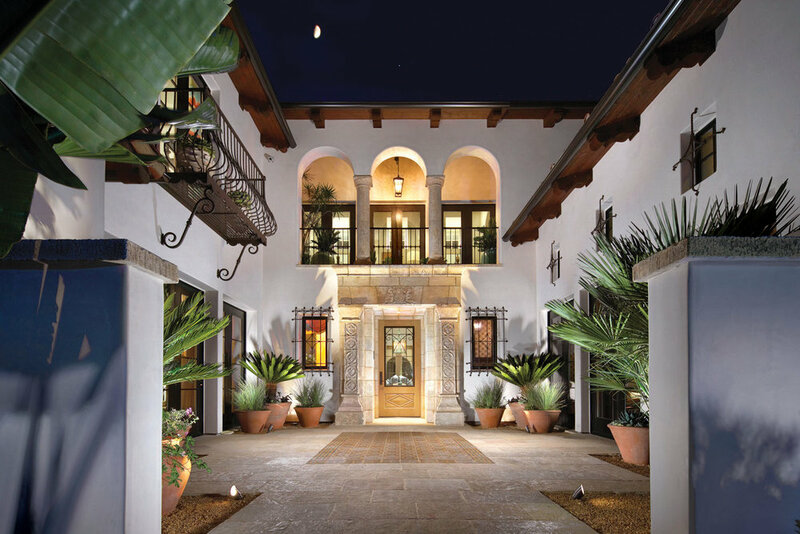 Corbin Reeves' expertise constructing in the Spanish Colonial style made the firm the perfect choice for this period-inspired new home. Working in this style presents many exciting challenges for the team and the Irvine Residence proved to be no exception. Getting the exterior with its stucco facade, clay tile roof, stone portico and juliet balconies of custom ironwork just right was essential. The design of the interior allowed for some deviation from the historical with a contemporary kitchen and deco-inspired bar and media room while still incorparating graceful archways, venetian plaster walls and a barrel-vaulted wine tasting room with a ceiling of tumbled stone.